Middle-Eastern is one of my favourite cuisines. I simply love all their flavours, aromas, and textures. I feel like every dish has something special, like a cosy feeling that hugs you after each bite. So that was my overall feeling while having such an amazing lunch at Eddie’s Lebanese Eatery, in Mortdale, south of Sydney. 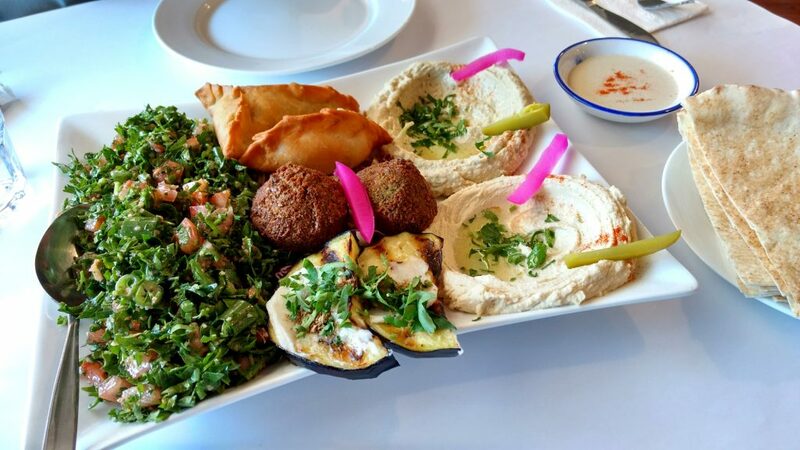 Authentic Lebanese food, packed with flavour, and almost impossible to stop eating. That is why we decided, at the occasion, to order a platter and a dish to share. Vegetarian mixed platter: hommous, baba ganoush, tabouli, falafel, chargrilled eggplant, cheese sambousik and spinach triangle. 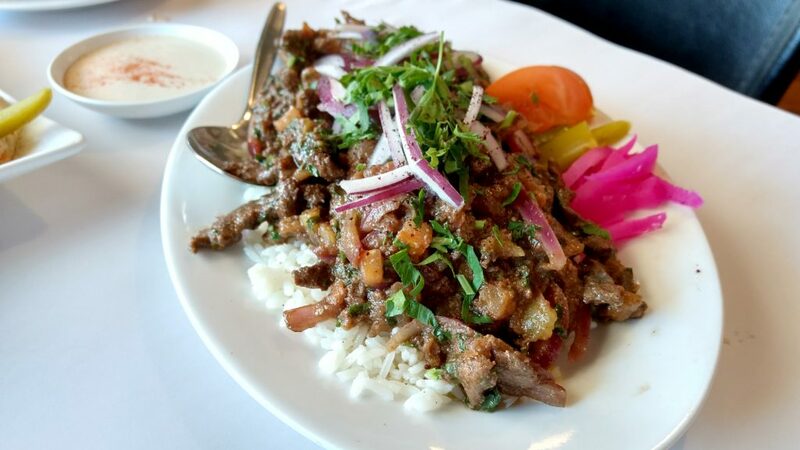 Shawarma: silvers of beef marinated with onion, tomato, balsamic vinegar, olive oil, mixed herbs and spices, served with tahini sauce and rice. Shawarma: silvers of beef marinated with onion, tomato, balsamic vinegar, olive oil, mixed herbs and spices, served with tahini sauce. Every single element in those two dishes was outstanding! I believe it was the best baba ganoush I’ve ever had; falafel was moist inside and super crunchy on the outside. Something new for me was the two pastries served in the mixed platter (one filled with cheese and the other with spinach), which were, as you imagine, simply delicious. Another great surprise was the Shawarma dish. I was expecting that kind of meat you get from a spit, but this one was more like slowly cooked meat. Super moist, falling apart, well-seasoned and yum!